Saudi Arabia is officially called the Kingdom of Saudi Arabia, and it is a country in the Middle East that occupies most of the Arabian Peninsula. It has coastlines on both the Red Sea and the Persian Gulf. What you should know is that Saudi Arabia, as a Muslim territory, is a country that embraces Sharia Law, so if you are not ready to accept some limitations on freedom of expression and behavior, you should not visit the country. Mecca and Medina, the two Holy Cities of Islam, are strictly forbidden to non-Muslim tourists, but there are plenty of other attractions for you to explore. And you should not miss getting a camel ride. Before going to Saudi Arabia, you need to see whether or not you need a visa. In fact, the chances of you requiring a visa are pretty high since Saudi Arabia does not have the most lenient visa policy. Only the citizens of 4 countries are visa exempt. We are referring to Bahrain, Oman, Kuwait, and the United Arab Emirates. Qatar used to be on that list until last year (2017), but no longer. Electronic visas were announced for 2018, but we are still to know more on the matter. One thing that is worth mentioning is that Saudi Arabia does not issue tourist visas. 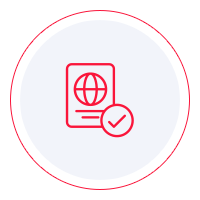 There are about 16 visa types you can apply for, but a tourist visa is not among them. The government had an attempt in 2013, but the program was closed off the following year. Nevertheless, the tourist visa is back on the table, and in January 2018 it was announced that tourist visas will become available. Again, we are still to find out precisely what is going to happen. As you can imagine, iVisa cannot help you get any kind of visa for Saudi Arabia, but we are still open to answering your questions should you need some information. Our customer support is available 24/7, and it is free of charge. As far as the requirements go, it depends on the type of visa you wish to apply. However, our recommendation is that you call the issuing authority and ask them what you need to know. The information you find online is not always the most reliable. That is why our suggestion is to call the embassy or the diplomatic mission and ask them about the requirements. That way, you get the info you need from a reliable source. In the meantime, what we can tell you is that all travelers who plan a trip to Saudi Arabia require a valid passport that remains as such for at least another 6 months from the date of arrival. For the moment, the information above is pretty much what we have to offer. We regret that we cannot help you with the visa application process, and we hope that this article is somewhat helpful.